As we get closer to January ending I'm getting more and more excited for the possibilities of this year. I'm ending out my last week of tremendously beneficial work time and am preparing for my next big adventure that begins next week :) I won't say too much yet, but I've got some wonderful months of new creations and art explosions galore heading my way. I'm thrilled from the top of my head down to the tip of my toes. Life is fully and completely happening and I am taking some initiative to get the absolute most from mine, while still making it as beautiful as I can possibly manage. written word, all types of media, on their own clothing, which are super clean and easy to pair with everything. Anyways, Lookbook is giving all of their lookbookers a chance to submit their own writing- to be printed on the Love Nail Tree clothing. They will be picking five winners, and with this look today I submitted my own writing. Take a look and please vote :) This is a great contest for me to muster up some courage and be bold enough to share my own writing. And with that I will carry on into my look for the day. I love, love, love these boots (how could you not..) I got to borrow them for this look from a very wonderful woman. 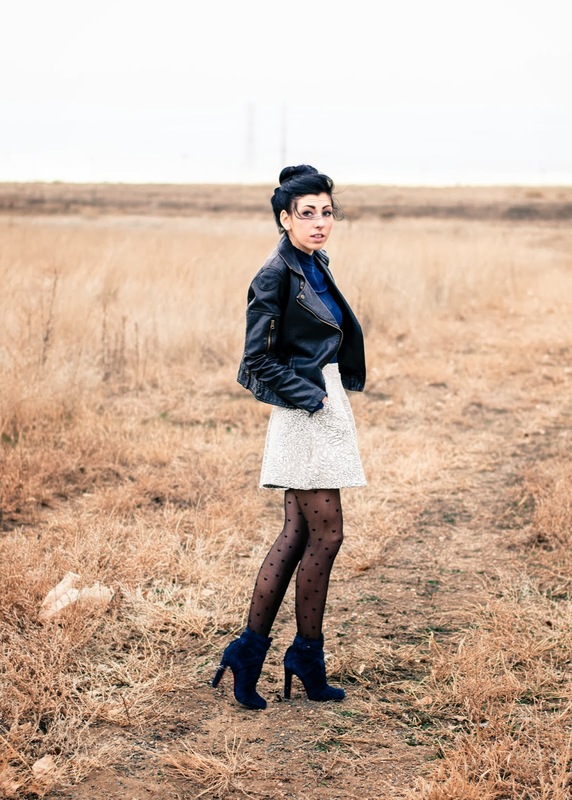 I put together the rest of my look to match these boots, and began with a black and white patterned skirt. This skirt is so comfy, surprisingly warm, and to top it all off, it has pockets; an all around win in my book. I paired the skirt with a top from Free People that I love so much because of how lightweight and feminine it fits. The color of the top just so happens to be the same color as the boots so it really ties the feet in. 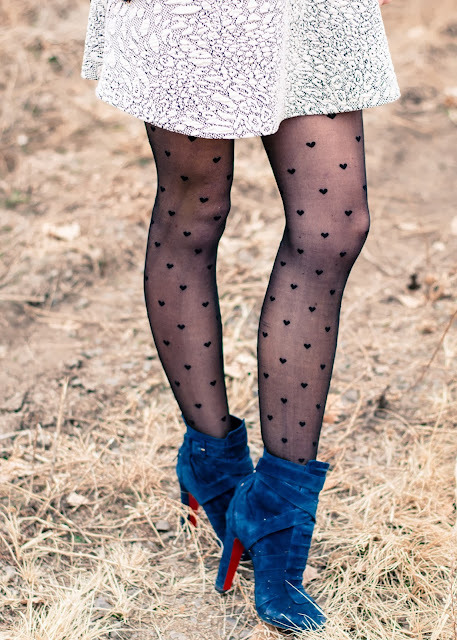 Since it's still a little cold, I added a pair of heart patterned tights that are so delicate and sweet for this outfit. 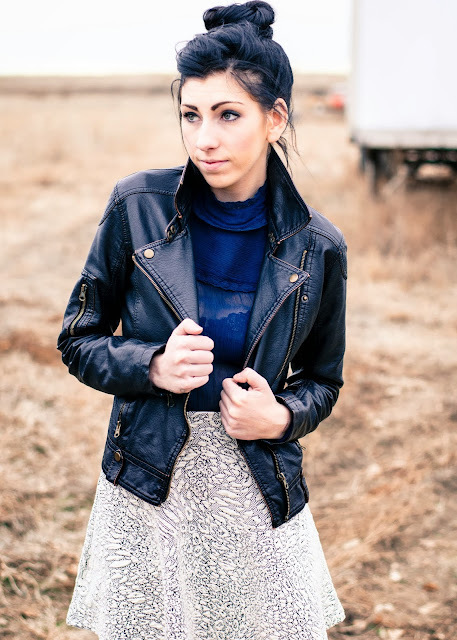 Lastly, finishing off the look with a leather jacket to add a little edge and a top bun to keep my hair out of my face.